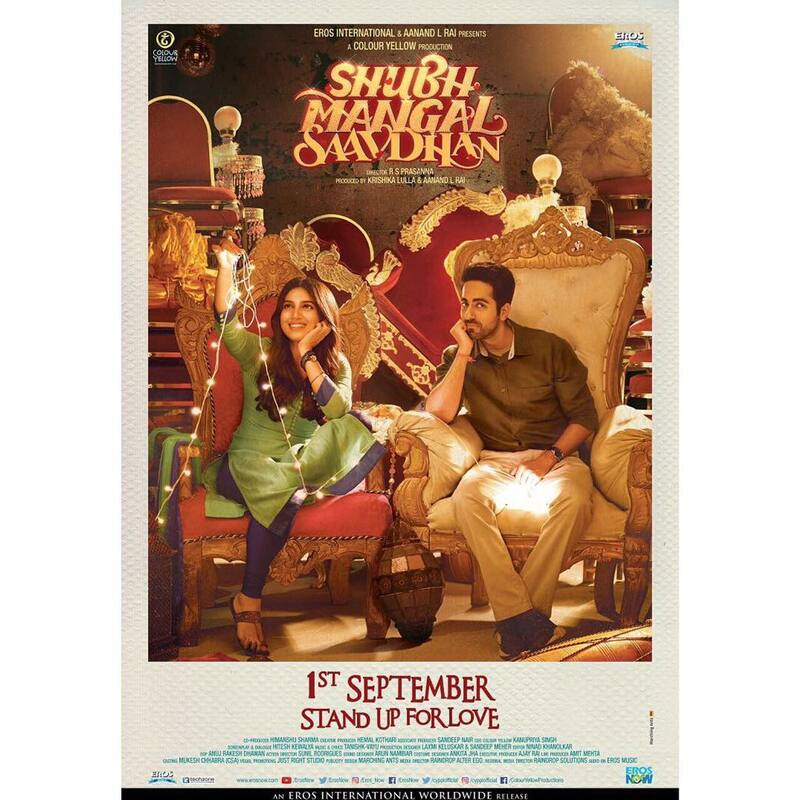 Bhumi Pednekar, who is currently enjoying the success of her film Toilet: Ek Prem Katha, shared a new poster of the upcoming film Shubh Mangal Saavdhan on social media. The Dum Lagake Haisha actress will be sharing the screen space with Ayushmann Khurrana for the second time. The new poster has Bhumi and Ayushmann sitting on the traditional wedding chairs while the actress holds a series of lights with a pleasant smile. Ayushmann can be seen sitting in a grim mood with some lights between his legs. The upcoming film is directed by R.S Prasanna and produced by Anand L. Rai. The story of the film has an engaged couple Ayushmann and Bhumi. Ayushman’s character suffers from the problem of erectile dysfunction and how he deals with the problem with the help of his friends and family. The movie is ready to be released in theatres on September 1, 2017.